A rare gem santa maria country club find! This home is situated right off the 5th green and closest to the 1st tee, ready for the taking. This prime golf course location is turnkey. 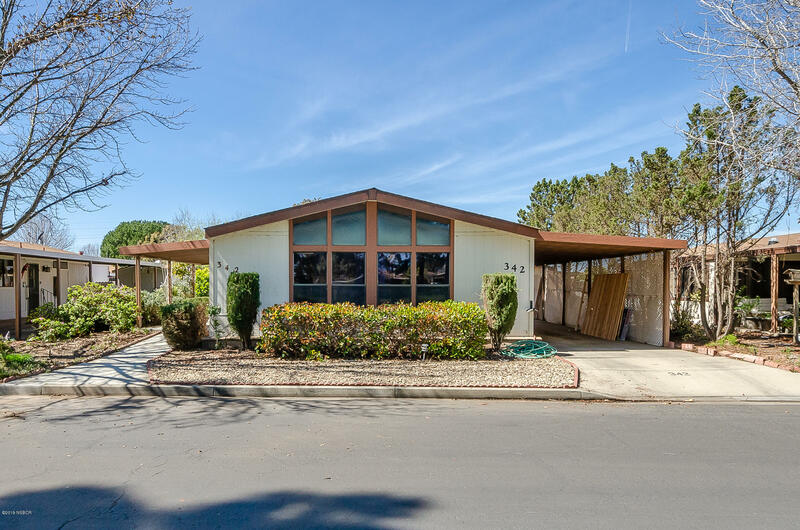 Custom 3203 sqft mid- century modern, single story home boasts almost a 1/3 of an acre lot, with a wall of windows in the living room that showcases a spectacular view of the course. Included are two massive driveways to choose from. The inside has 3 conveniently situated bedrooms with the master suite separate from the others. Five sliding glass doors provide a panoramic view of the country club grounds and a step out to the course. This 1960's home is made for entertaining! A golfer's delight!! 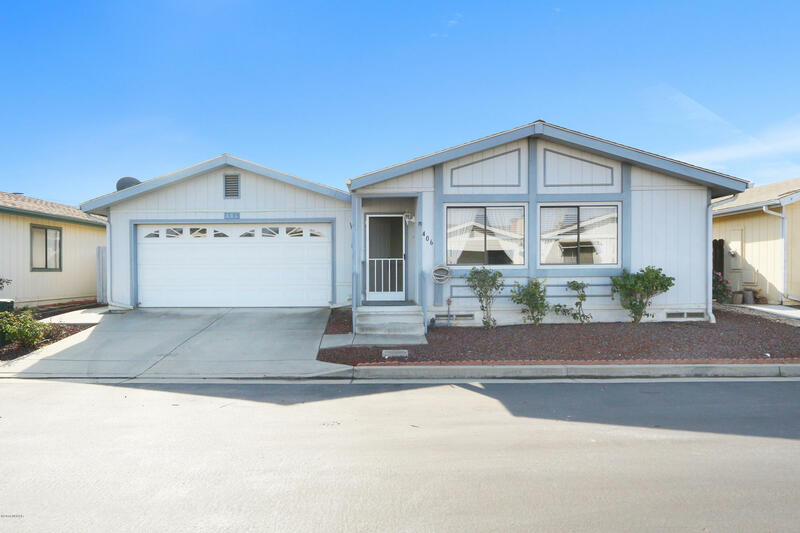 Lovely casa grande mobile home estates 2 bedroom 2 bath home with sought after attached 2 car garage. Step into a spacious living/dining rm. & a family rm. That opens to the kitchen. Master bedroom has 2 large walk-in closets, window air conditioner, & bath with lots of cabinetry. Solar tubes add light to the home & there are ceiling fans throughout. Inside laundry & garage have extra built-in storage. The 1440 sq ft. Of living space makes this home ready for comfort & entertaining. There's a covered patio, south facing backyard, rain gutters & sprinklers installed. Fridge, washer & dryer included. New 30 yr. Roof in 2015. Casa grande features a clubhouse, library, billiard rm. , pool, spa, 9 hole pitch and putt golf course, rv parking w/monthly fee. Space rent to new owner will be $831. Beautifully updated home with ideal golf course location in desirable casa grande gated community 2 bdrms, 2 baths and approx. !,248 sq. Ft. Park incl; pool & spa, clubhouse & golf. Approx. $40,000 of recent improvements. Features include; comfortable living room with exposed wood beam vaulted ceiling, new grey tone wood-style floor, new interior design paint & large front window with view of beautiful golf course. Nice kitchen with handsome wood-style counter tops & breakfast bar, attractive painted cabinets, new floor, new stainless steel appliances, pantry closet & separate dining area with overhead chandelier and built-in cabinet. Two nice bdrms including master suite with new grey tone wood-style floor, new paint, mirrored sliding door closet & personal bathroom. Space rent $680. Home is located in a very nice gated 55 plus park. Amenities, clubhouse, heated pool, spa, billiard room, 9 hole pitch & putt golf course. Rv parking available with monthly fee. Very spacious 2 bedroom, plus separate office, 2 baths, 1,536 sq. Ft. Popular split floor plan master bedroom and bath at one end, and guest, and office at the other end. 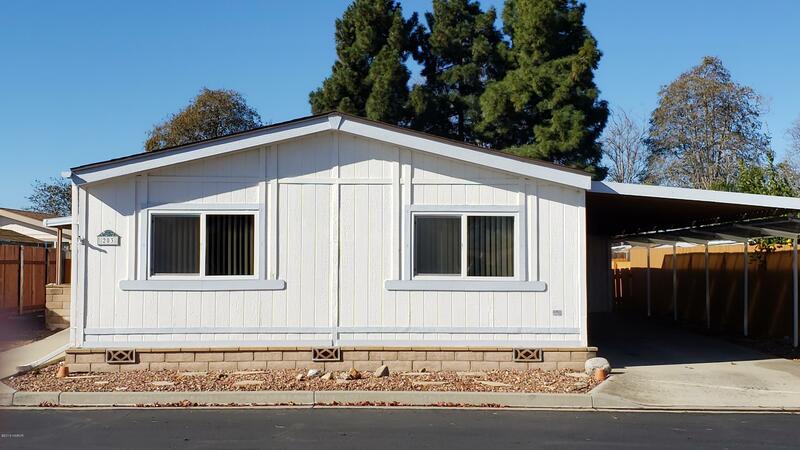 Very light master featuring 2 windows plus a door to patio, large walk in closet. Home has been updated with dual pane windows. Kitchen features, pantry, skylight, breakfast bar, and nice big window, lots of storage. The separate office has 2 great lighting with 2 windows, built in cabinets, newer carpet. Yard is very low maintenance, partial fencing, guest parking nearby, walking distance to the clubhouse. 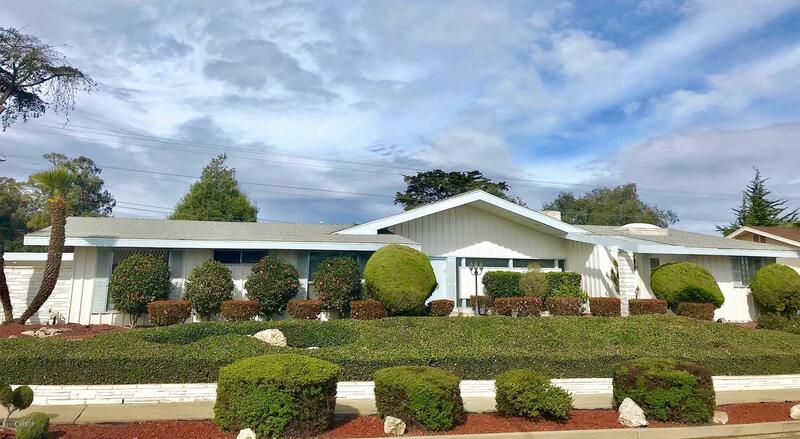 As of today, 4/21/2019 the average home price for homes for sale in Santa Maria is $514,666. Based on information from the Santa Maria Association of REALTORS ® (alternatively, from the Central Coast Regional MLS) as of 4/20/19 12:00 pm EST/EDT. All data, including measurements and calculations of area, is obtained from various sources and has not been, and will not be, verified by broker or MLS. All information should be independently reviewed and verified for accuracy. Properties may or may not be listed by the office/agent presenting the information.